Brihaspathi Technologies Pvt. Ltd is the one of the Leading Company in Providing Bulk SMS Services in Hyderabad, India. We are providing our Bulk SMS API services in School Management, Banks, Hospitals, Colleges, eCommerce website(promotional and transnational),and Business sectors etc. Bulk SMS Means Nothing but the user sending large amount (or) large volume (or) Large Quantity of SMS or Short Message Services or Text Messaging at a time. 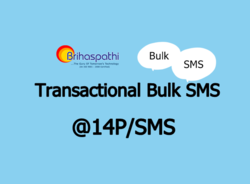 We are Providing Promotional Bulk SMS and Transnational Bulk SMS Services in Hyderabad. Brihaspathi Technologies Pvt. Ltd is the one of the Leading Company in Providing Bulk SMS Services in Hyderabad. 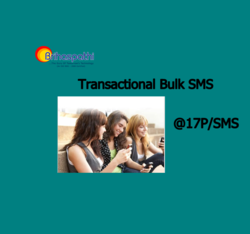 We are providing both Promotional and transactional bulk SMS services. 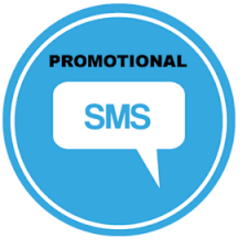 Promotional Bulk SMS is one of the affordable marketing solutions that are available in the market. You can create awareness about your brand, product or any offer in a second with a single click by sending Bulk SMS ,You can also send your clients new offers, new products or any events right away. 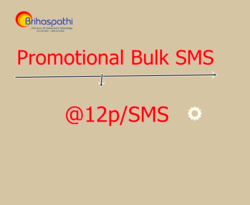 Brihaspathi Technologies Bulk SMS offers you Promotional Bulk SMS that can be used for Brand Promotion, Offers, product marketing, and general awareness. · Delivery SMS to Large numbers at one go. · User friendly Control Panel. · Instant delivery of SMS. · Report Download Facility within 7 days. · Contacts Database free depending On SMS Package. · Delivery of SMS done in Multi Languages. · Credits are not applicable for DND Numbers. Transactional SMS enables you to send timely alerts, updates and notifications to customers. This reflects your commitment to serve the consumers optimally, thus consolidating their loyalty to your brand. Messaging is always a better way to connect either to individuals or to the targeted audience in bulk. SMS has been categorized into categories, what best you can do is choosing according to needs and business. 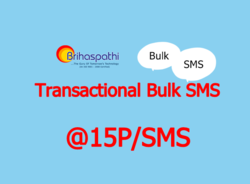 We at Brihaspathi Technologies SMS provide best transactional SMS service in India. What makes us best among all the rest is our innovation and dedication towards delivering our clients best, so they can get most out of their investments? 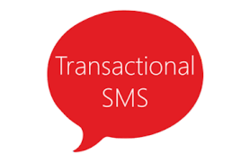 Transactional SMS service is mainly used for direct interaction between business & consumer. TRAI introduced this category to limit the unsolicited communication. The content of SMS decides its category usually transactional SMS are such messages that contain informative content: like banks update their registered customers about transaction, updating about live events like voting etc. Delivery of SMS done in Multi Languages. Contacts Database free depending On SMS Package. Report Download Facility within 7 days. 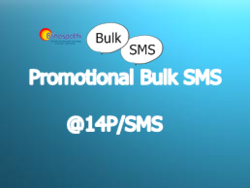 Promotional Bulk SMS is one of the cheapest marketing solutions that are available in the market. You can create awareness about your brand, product or any offer in a second with a single click by sending Bulk SMS ,You can also send your clients new offers, new products or any events right away. 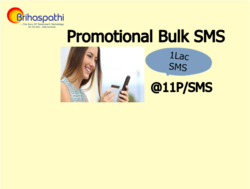 Brihaspathi Technologies Bulk SMS offers you Promotional Bulk SMS that can be used for Brand Promotion, Offers, product marketing, and general awareness. 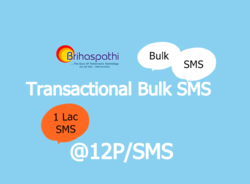 Looking for Bulk SMS Services ?